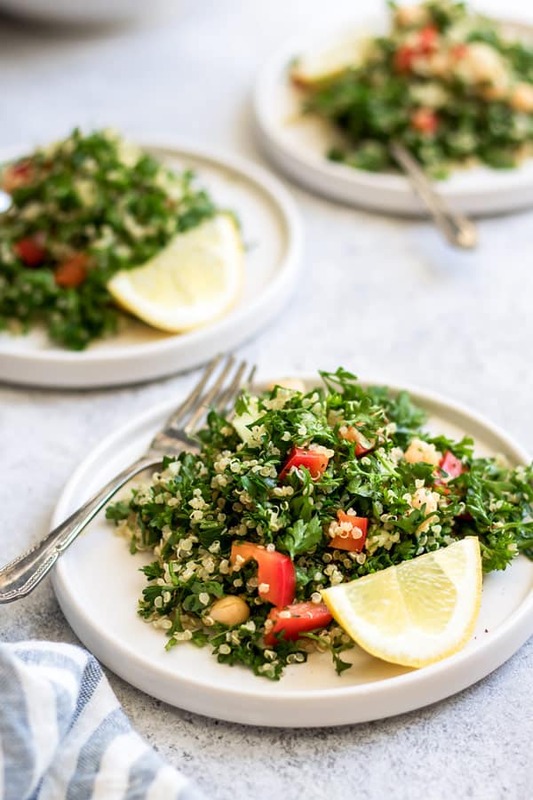 This quinoa tabbouleh salad is a healthy vegan & gluten-free dish that only uses 5 ingredients to make! Top it off with a zesty lemon dressing and enjoy! 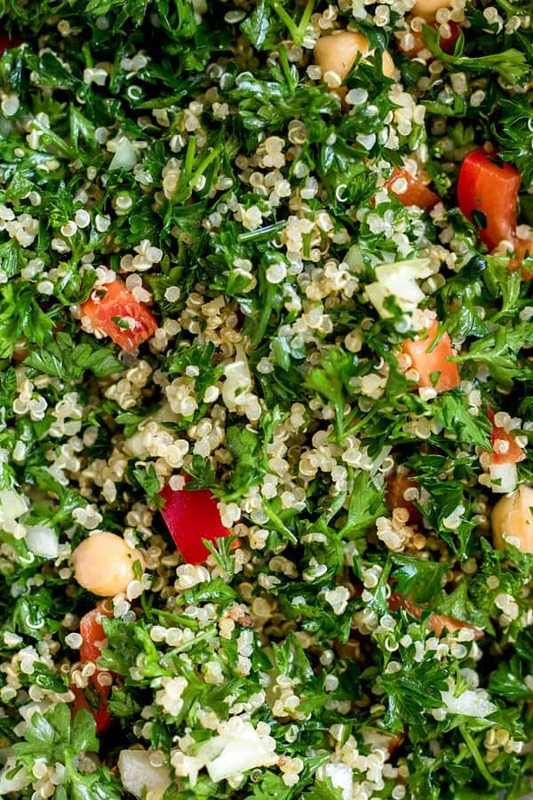 Today’s recipe for is a fresh and light quinoa tabbouleh salad. 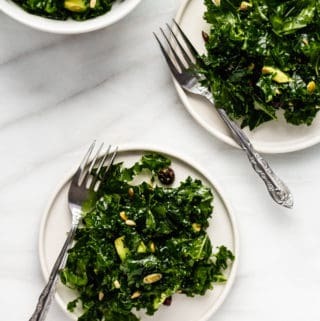 This recipe has got to be one of the easiest salads to throw together. And it’s definitely a crowd pleaser! 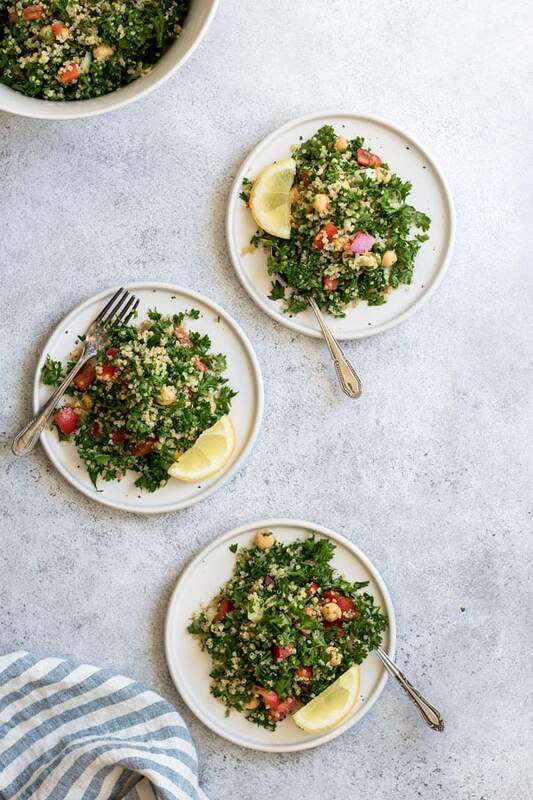 This tabbouleh salad is made with quinoa, instead of the tradition bulgar that is used in a tabbouleh. I also make a couple other adjustments to the traditional recipe, because this is my favourite way to enjoy a tabbouleh! 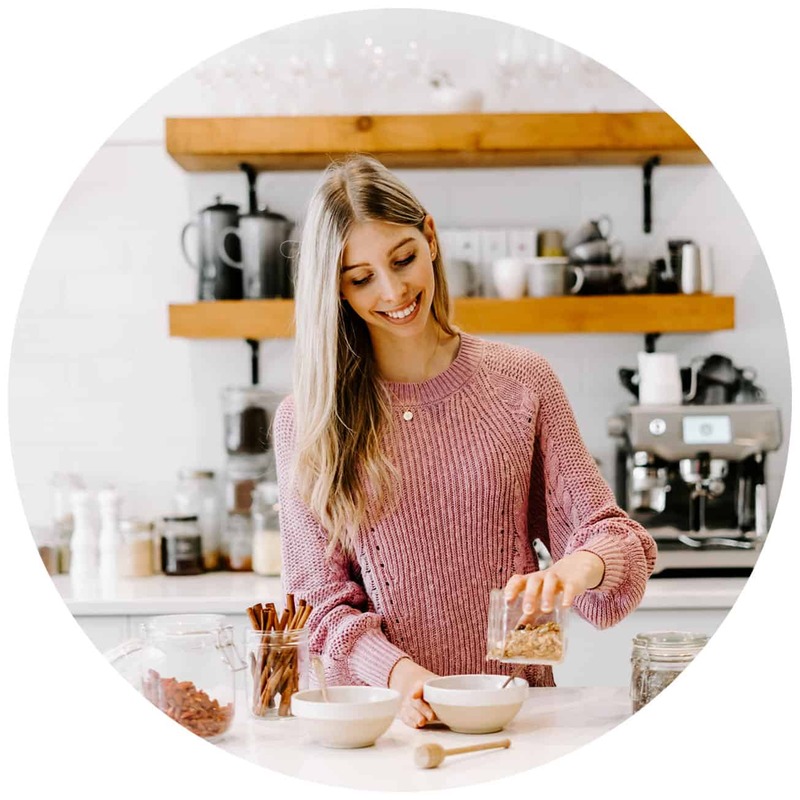 I love using quinoa because it’s high in protein, gluten-free and has tons of nutritional benefits. The little pieces of quinoa mix up so nicely with the parsley too! 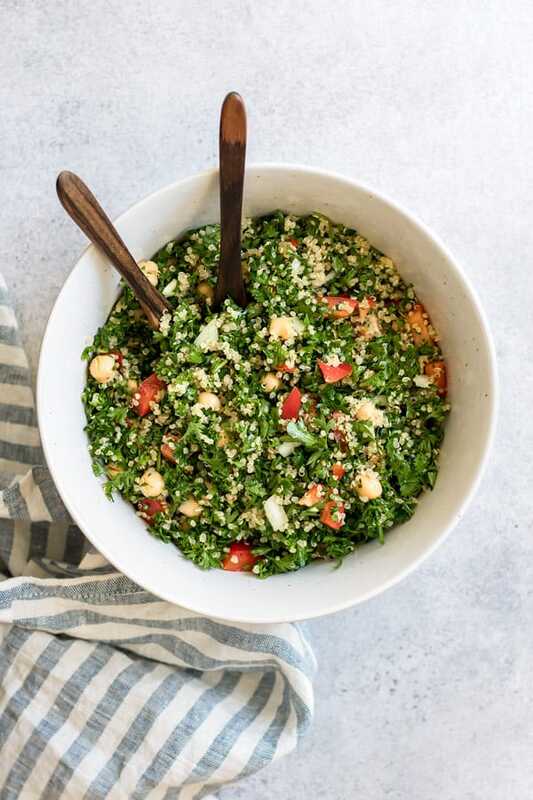 This quinoa tabbouleh salad also has red pepper, onion and chickpeas added to it. I LOVE adding chickpeas to tabbouleh. Firstly, it gives that salad a little more protein, so it’s more filling. Secondly, well…it just tastes really good. One of my favourite things about this salad (besides how easy it is to throw together) is that you can really customize it to your liking. If you prefer a higher ratio of quinoa to parsley, go ahead! If you like tomatoes in your tabbouleh, feel free to add them in! Another great modification would be to add some of your other favourite herbs to this recipe. Some chopped up mint or basil would work particularly well! 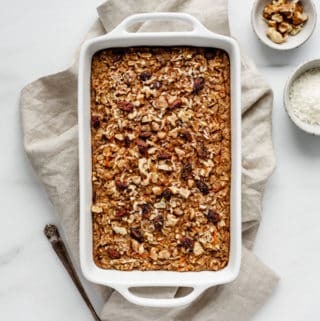 This is the first recipe I prepared after a long weekend away and wanted something quick and easy to have on hand for lunch and dinner. 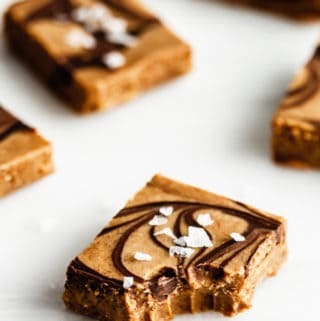 This recipe is great served alongside some hummus and falafel, or with your protein of choice. 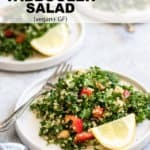 If you’re looking to prepare this salad ahead of time, I’d recommend keeping the salad dressing separate, and using it when you serve the salad to prevent it from getting soggy. The salad will keep much longer in the fridge (about a week) if it is not dressed and stored in an airtight container. 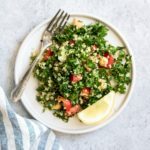 A simple tabbouleh salad that only uses 5 ingredients to make! Mix the parsley, quinoa, chickpeas, red pepper and onion together in a bowl. To make the dressing, mix the lemon juice, olive oil, dijon mustard, garlic, maple syrup, turmeric and salt together in a small jar. Pour your desired amount of dressing onto the salad and mix together. The tabbouleh will store much longer in the fridge if you don’t dress it. Keep the dressing separate and dress the salad when you’re ready to eat it. I love using quinoa, it’s just so easy and quick and convenient! 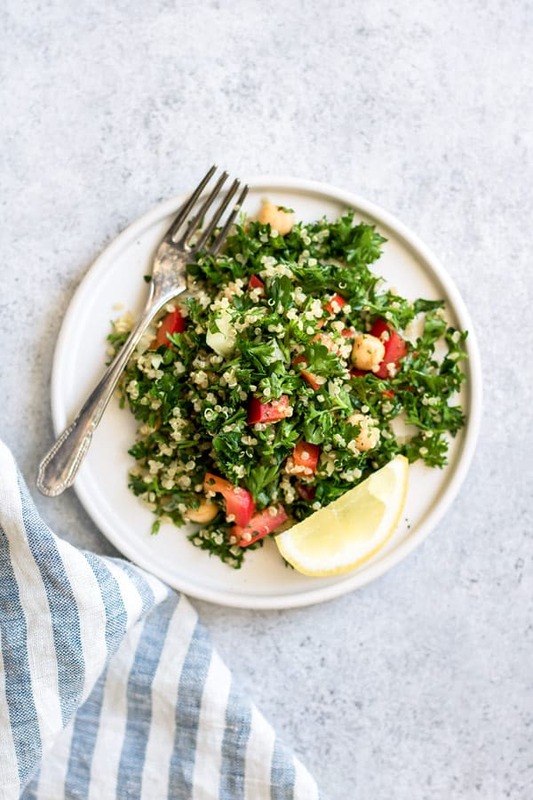 This tabbouleh looks great Jess, perfect light and healthy dish for the Summer! Photos are just stunning, as always!!! Thanks Anna! Quinoa is so versatile isn’t it? Do you know if there is a possible substitute for the olive oil? I am plant based and celiac. I miss this dish so much!!!! Hi Tiffany, if you don’t mind the taste you can just leave out the oil completely! Myself sometimes I’ll dress a salad with just a little bit of dijon mustard and lemon juice, it will taste a little more acidic if you leave out the oil. If you can have natual oils, then I’d say to substitute the olive oil with tahini!